I heard about Henry Summer opening in Northbridge back in October and was quite literally counting down the days until it opened. Being this excited for a bar or restaurant to open can be pretty risky—what if it doesn’t live up to expectations? !—but when Clint Nolan is the man behind the bar I tend to keep the faith, and, spoiler alert: he didn’t let me down. Henry Summer, the sixth Lavish Habits venue, is every bit as good as I thought it would be. They’ve thought of everything and you’ll be absolutely blown away when you walk in. 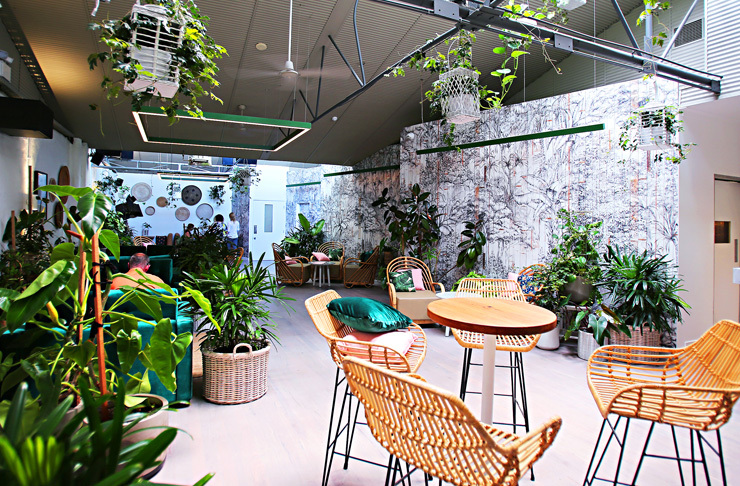 From the jungle vibes thanks to alllllll of the greenery to the cutesy green chairs and pastel pink bar stools, there aren’t many places this freaking beautiful around. 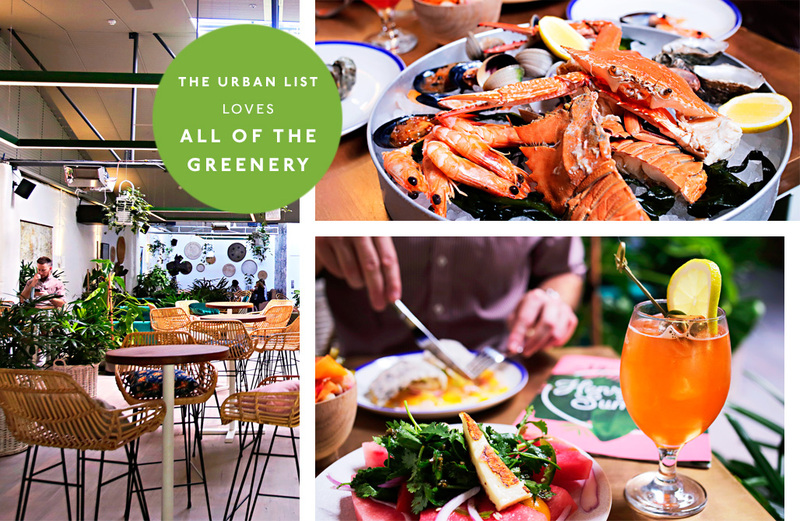 And while I’m happy to admit that I’m shallow enough to love a place based on looks, for those of you who aren’t, the food and drinks are on point too. Spritz lovers, you need to go and order yourself the summer spritz immediately if not sooner. Made with kombucha, it’s got a little extra tang and is one of the yummiest drinks you could hope for in life. The Pineapple Pop has all of the tropical vibes—think pineapple, tequila, ginger and bubbles—and you won’t want to stop after just one, trust me. If you’re designated driver for the night, you’ll want to ask for a mocktail—I've never had a better non-alcoholic drink in my life! The wine list is full of organic and natural wines and they have a fab selection of French and Australian rosè, plus they’ve got Young Henry and Little Dove on tap. Oh, plus cider and plenty of bottled beers too. 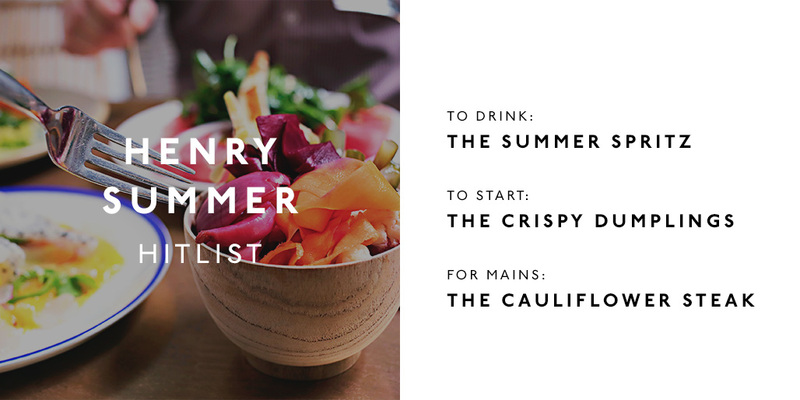 When it comes to food, Henry Summer has you (and your dog) covered whether you want to nibble while you drink or you’re hungrier than a bear after winter. Whatever you’re thinking, order the Henry Summer board to start and devour the charcuterie, cheese, bread and dips before making any big decisions. And if you’ve got your dog in tow, get them the kangaroo jerky—they’ll love you for it. Next up, you’ll want to get the crispy chicken dumplings with satay sauce because dumplings! The jamon croquettes and the cauliflower steak are also bursting with flavour and are perfect for sharing. If you’re starving, the burgers will hit the spot every damn time. They’ve got a beef and a veggie option so no one needs to feel left out, or you can keep things fancy with the crispy skin salmon and Vietnamese slaw. Let’s be real though—you can’t really go wrong here. They also do some delish desserts—coconut pavlova with roast banana ice cream anyone?—so make sure you leave some room!